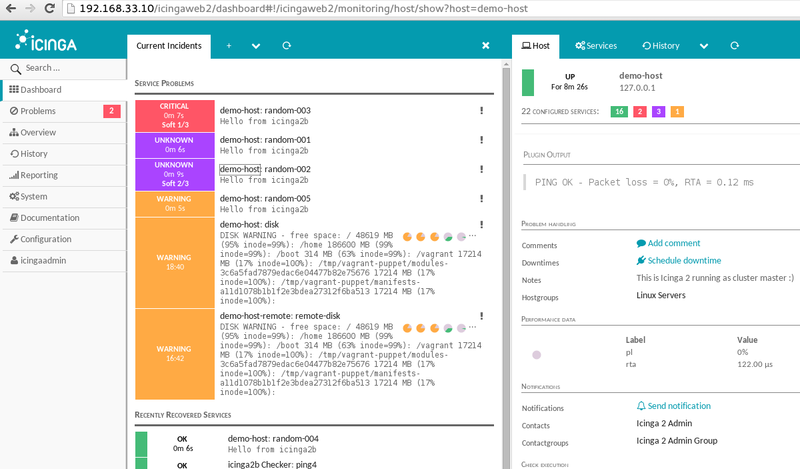 The new revamped Puppet module for Icinga 2 was officially released and uploaded to PuppetForge. 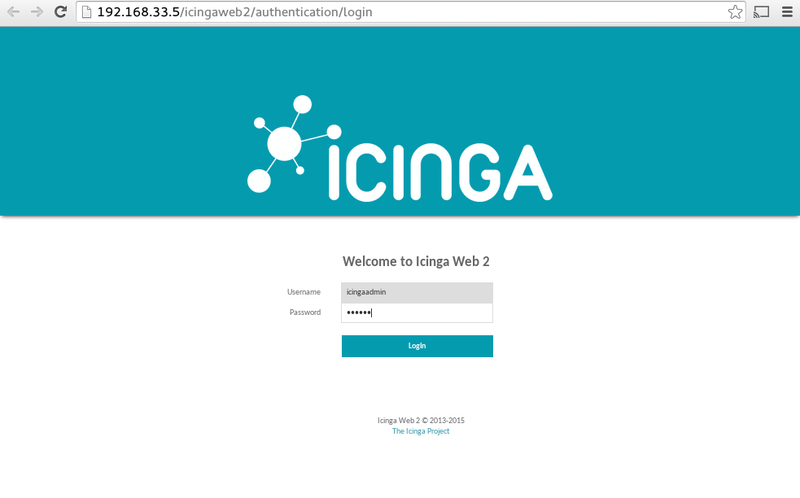 We’ve also released the new shiny Icinga Director 1.3.0 followed by the beautiful Business Process module 2.0.0 for Icinga Web 2. 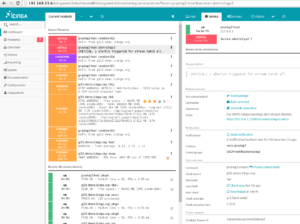 Icinga 2 v2.6.1 and Icinga Web 2 v2.4.1 fix bugs we’ve come across after releasing the initial major versions. There also was a release for Icinga Core and Web 1.14 fixing several bugs and security issues. 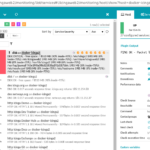 We’ve found Vagrant pretty useful for our demo cases – the first draft of the Icinga 2 Cluster happened to be a NETWAYS CeBit demo and evolved ever since. 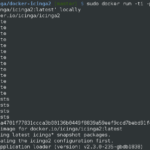 icinga-vagrant was added is official Icinga project similar to what we have with our Docker demos and gained more attraction by testers and developers. 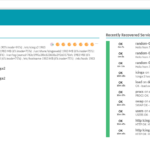 icinga2x-cluster: Icinga 2 Cluster as Master-Checker setup. 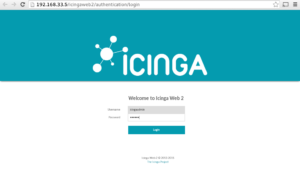 Includes Icinga Web 2 as user interface. 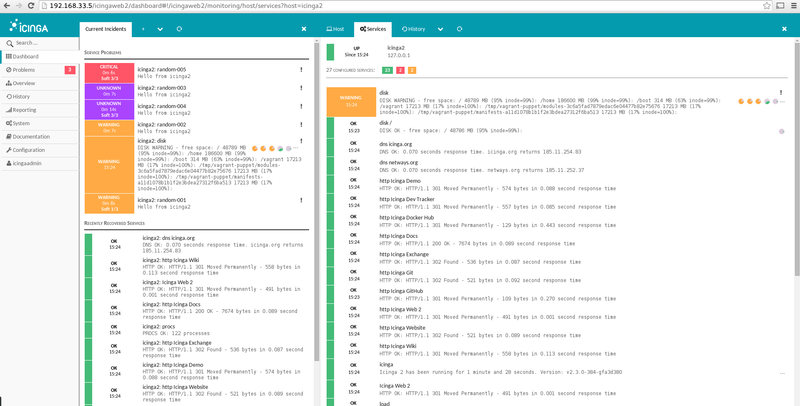 icinga1x: Standalone Icinga 1.x Core with Icinga Web 1.x and Classic UI 1.x. Includes Jasper-Reporting. 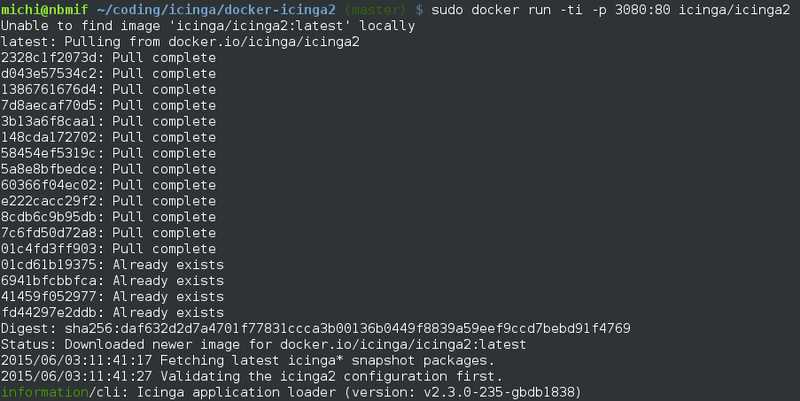 Note that icinga1x will stick with CentOS6 due to the Reporting integration (unless someone sends a patch). The other boxes have been upgraded recently to use CentOS 7.1 as base box. 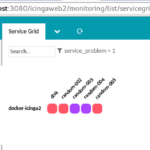 There were several changes in the past months, refactoring the required git modules from submodules to subtree and also updating the demo configuration. 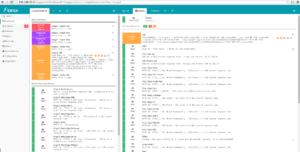 All icinga2x boxes also share common host-only IP addresses for easier access. Once puppet-icinga2 and puppet-icingaweb2 become ready, they’ll be included inside the provisioning mechanism replacing our own local modules. In order to keep it simple, you may just download the latest release tarball instead of cloning the git repository. 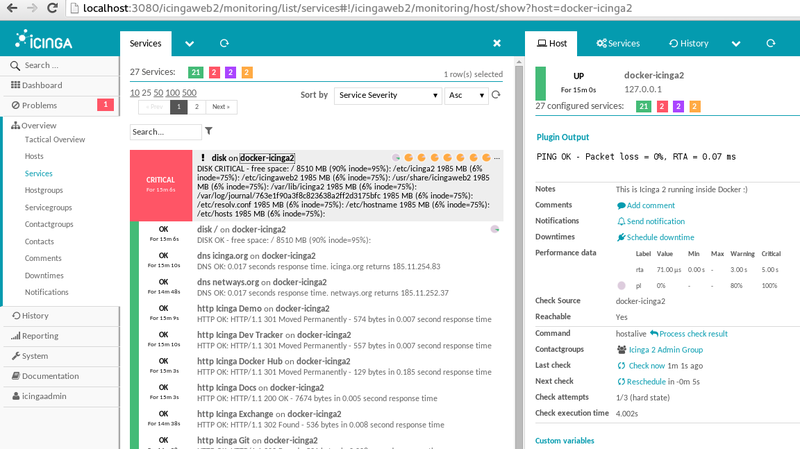 Compliments of Linux Magazin, a streamed video of our presentation at the Open Source Monitoring Conference is now available for all to view. October 2010, Bernd stepped up to the mic on behalf Michael F, Lara, Marius, Ricardo, Jannis, Karo and Scott who were all there (on/off stage, calling in from Oz) to represent the team. 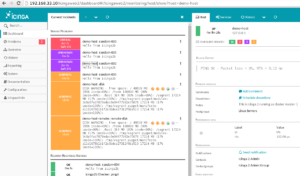 In the presentation, he introduced Icinga’s technical foundations and explained plans to improve Icinga’s architecture to better solve problems in distributed and large environments and bring greater redundancy. 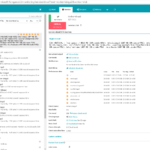 Current REST API development was also on show, alongside a demo of the classic and new web interface with integrated Jasper reporting and Business Process Addon views. 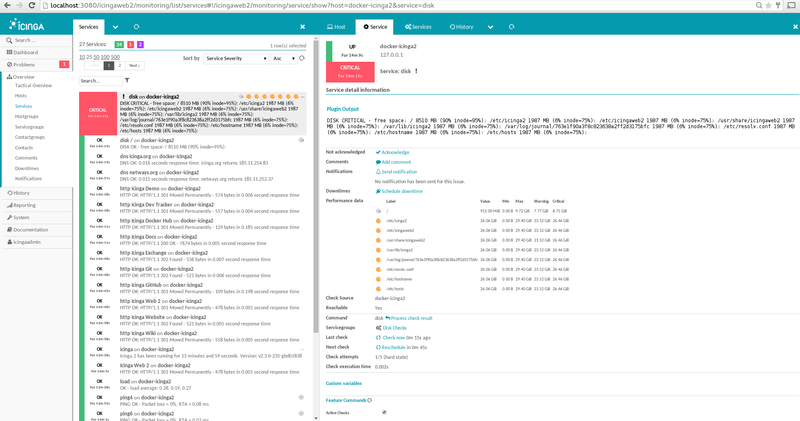 After sharing Icinga’s roadmap the team topped it all off with a surprise release of Icinga Mobile offering of course a live demo. Keep your ears perked for the rustle of smart phones pulled out from pockets in the crowd, as the demo took on a more collective nature. Though it was presented in German, the slides are completely in English. View the streamed presentation at http://www.techcast.com/events/osmcfree/icinga/ and enjoy!